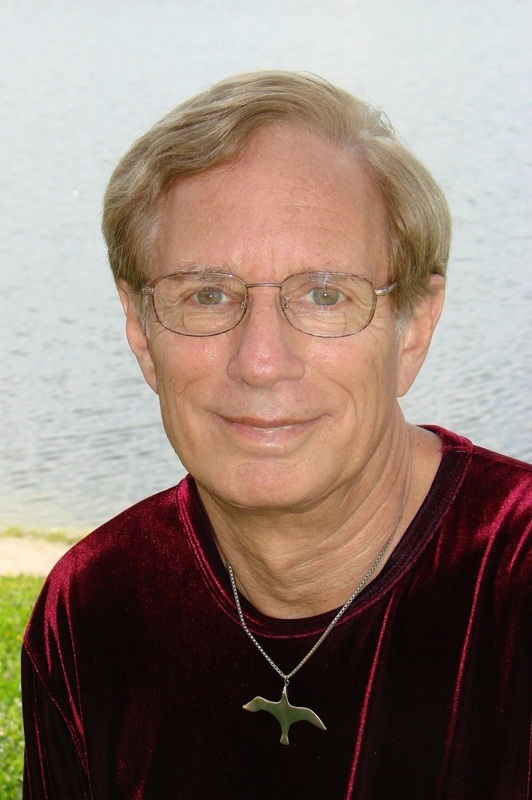 Bill is a pioneer in the field of After-Death Communication (ADC) experiences. He is considered to be the "father of ADC research" and has written and spoken on this subject for more than 25 years. A native of Long Island, New York City, and New Jersey, Bill did not always embrace the beliefs he has now. During his first 35 years, he regarded himself as an agnostic, choosing to see life through the lens of "rational materialism". During this time, Bill was a stockbroker and a securities analyst on Wall Street and had no interest in spiritual matters. He compared human bodies to flashlight batteries - "When the juice runs out, you throw the battery away. When you're dead, you're dead." Little did he know, he was about to experience a profound transformation. In May of 1974, Bill experienced a spiritual awakening that would shape the rest of his life. Over the course of four months, he received messages from the "other side" that challenged all of his beliefs. These messages (writings) consisted of short stories, philosophy, parables, and poetry - all of which affirmed life after death - something he literally did not believe in. "I also received messages from people who had already made their transition - many of whom I did not know personally," Bill says. "They asked me to share their messages with their family members and friends who were living. Frankly, I thought I was having a nervous breakdown." However, with the steady support of his former wife, Judy Guggenheim, Bill was able to navigate through this transformation, and came to see his experiences as a "spiritual breakthrough". Over the coming years, Bill immersed himself in spiritual teachings from a wide variety of sources, both Eastern and Western. He studied for a year with Reverend Anne Gehman, a psychic, medium, healer, and teacher, who helped him to expand his concept of reality. And Paul Fransella introduced him to Silva Mind Control and English spirituality. In 1977, he attended a five-day "Life, Death, and Transition Workshop" with Dr. Elisabeth Kübler-Ross. "This workshop was really about life and living, and they were the five most joyous consecutive days of my life," Bill says. It was at this workshop that he was exposed to experiences of After-Death Communication. First, a nurse who was attending the workshop shared two powerful experiences she had with her deceased daughter. Then, Elisabeth narrated a detailed account in which she was visited by a patient of hers who had died ten months earlier. "Elisabeth's account defied everything I knew and understood to be true about death and life after death, and it forced me to re-examine all of my beliefs," Bill recalls. During the years that followed Elisabeth's workshop, Bill sought personal answers to some of mankind's oldest and most profound questions: Is there life after death? Do we enter a new dimension or level of existence when our physical life is over? Will we be reunited with our family members and friends who have already died? Is it possible for our deceased loved ones to communicate with us now? ​It was a damp, gray Sunday afternoon and Judy and I had just finished having a conversation in the living room in the front of our house. As we got up to leave the room, I distinctly heard a voice in my head calmly say , "Go outside and check the swimming pool." Though I didn't feel any sense of urgency, I was definitely puzzled by hearing this voice and receiving such a strange message. So I walked back to the family room and looked out through the sliding-glass door. Our pool was separated from the house by a 15-foot patio, and I noticed that the gate in the wrought iron safety fence was open. But this wasn't unusual because our two older sons used the pool area as a shortcut to the backyard and sometimes forgot to close the gate. I walked across the patio to latch the gate, and as I did, I glanced casually at the pool. Suddenly, my heart froze and everything seemed to happen in slow motion. There in the middle of the deep end I saw our youngest son, Jonathan! He was less than two years old and didn't know how to swim. I ran to the side of the pool and saw our little boy floating face up about an inch or two under the water! He was very still and his eyes were wide open. I screamed "Judy!" as I jumped into the water feet first.. Rebounding off the bottom and kicking my legs furiously, I came up under Jonathan and pushed him toward the side of the pool. Judy had heard my terrified scream and came running. Frantically, I struggled to keep his head above water until she grabbed his arms and pulled him from the pool. Jonathan immediately began crying and shivering as he coughed up a little water. Miraculously, he was fine. We were probably more frightened than he was as we wrapped him in a big towel and held him in our arms. Shortly afterward, we learned that Jonathan had gone outside through a bathroom door that opened onto the patio from the far side of the house, for it too had been accidentally left open. When I told Judy about my experience, we realized our little boy must have slipped into the pool only moments before the voice alerted me. We were immensely grateful we had been given this crucial message because it enabled us to save our youngest son from drowning. And it had spared us the incredible grief that bereaved parents must endure. Bill believes the voice he heard was that of his father, William Guggenheim Jr., who died 33 years earlier in May, 1947. By having this experience that prevented his own son from drowning, it convinced Bill of the reality of After-Death Communications. ​When the voice spoke to me a second time in 1988 and said, "Do your own research and write your own book," I trusted it but felt I was being called upon to accomplish something much larger than I was capable of achieving. I felt overwhelmed by the sheer size and complexity of such a project. Then slowly it occurred to me that I had been preparing for this assignment for many years and had the time, the means, and a passionate interest in the subject. A new confidence gradually uplifted me, and then and there I made a commitment to follow the guidance of the "voice" as faithfully as possible. Shortly after receiving this message, Bill and Judy founded The ADC Project to conduct the first in-depth research of After-Death Communications. During their seven years of research, they interviewed 2,000 people and collected more than 3,300 firsthand accounts from people who believe they had been contacted by a family member or friend who had died. Judy and Bill self-published 5000 copies of Hello From Heaven! in October, 1995 and then had a contract with Bantam Books before Christmas. Bantam Books published Hello From Heaven! in hardcover in April, 1996. It was the first book published on the topic of After-Death Communication. Now, there are dozens of books and websites that cover this vast field of research. Since Hello From Heaven! was published, Bill has spoken at numerous conferences and appeared on a number of television and radio shows, spreading the word about After-Death Communications. During that time, Bill made it his personal mission to help those who are grieving the loss of a loved one and validate ADC experiences as a "normal and natural part of life". "In my mind, receiving a message from a loved one who has died is as common as receiving a greeting card from someone who is living. It is my hope that this understanding will someday be embraced and shared by all of humanity."